To get the caked on food in your microwave to wipe right off, follow this tip. I learned this years ago and it makes my life a little easier. 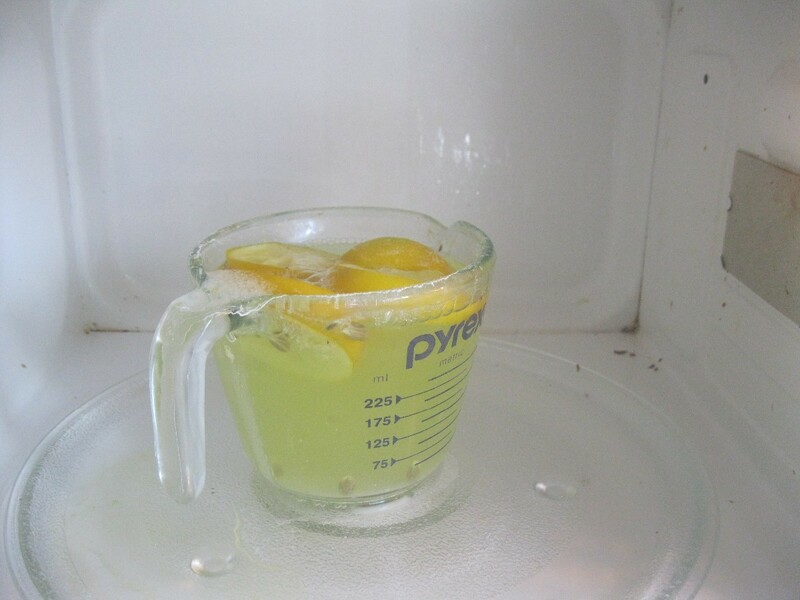 Fill a microwave-safe container with water. 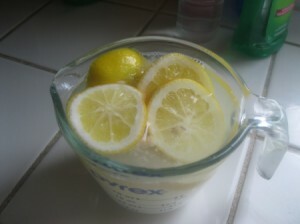 I add a few lemon slices and a few tablespoons of baking soda to remove any odors. Microwave on high for 3 minutes. Let the container stay in the microwave for about 5 minutes. It will create a sauna in there. After 5 minutes, carefully remove the container and wipe down the inside of the microwave. It will come off so easily. This method works - even without the lemon - just a tablespoon of baking soda. Neat idea, I'll have to try this. It's always so hard to get the microwave clean!